ICELAND. Krafla. 2007. View of the Krafla power plant, looking east towards Bláfell. 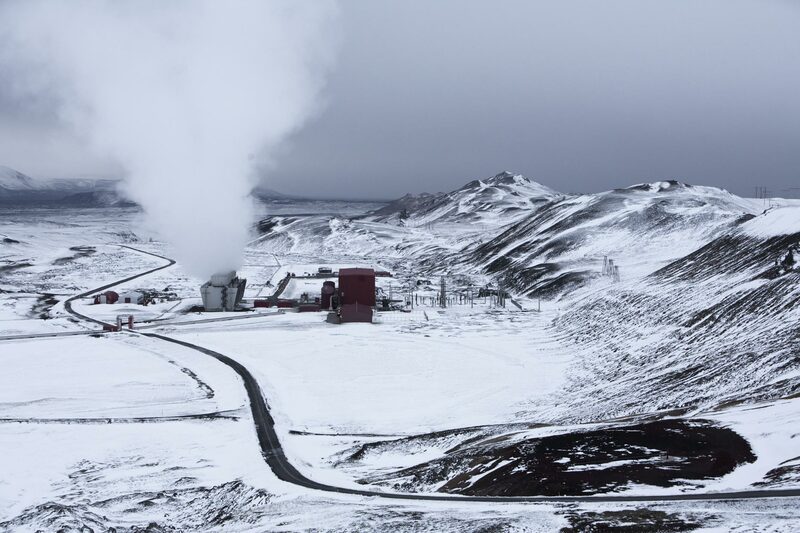 Krafla in north Iceland is the national energy company Landsvirkjun‘s main geothermal power station. The Krafla wider area, which is very unique with Lava fields and proximity to tourist-visited areas, is targeted for massive expansion if the plans go ahead to build the Alcoa aluminium smelter in Husavik in North Iceland.